The Bawean Serpent Eagle is the only resident raptor species on the island of Bawean. There is some disagreement among the scientific community regarding this species. Some believe the Bawean Serpent Eagle is a separate species, whie others regard it as a race of the widespread Crested Serpent Eagle (Spilornis cheela). There may be as few as 60-75 adult Bawean Serpent Eagles left in the world! 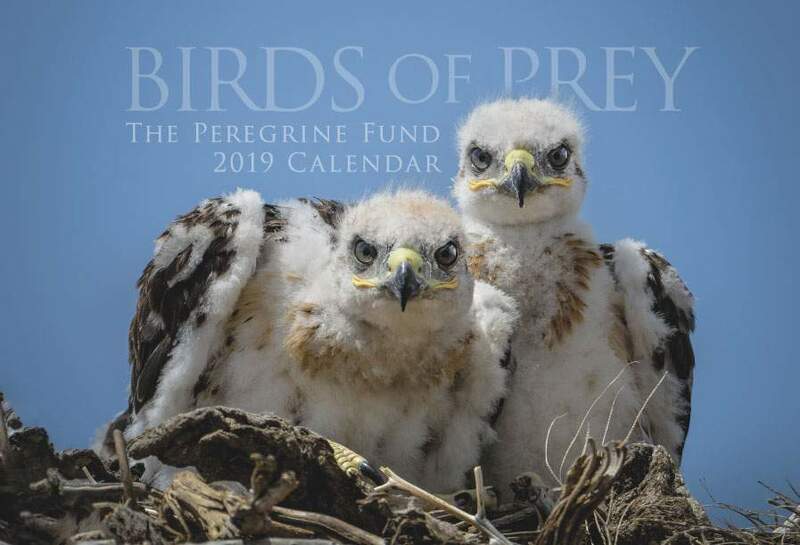 The Peregrine Fund doesn't work directly with Bawean Serpent Eagle, but our efforts in scientific research, habitat conservation, education, and community development help conserve raptors around the world. We also supply literature to researchers from our avian research library, which helps scientists around the world gather and share important information on raptor conservation. The Bawean Serpent Eagle is endemic to Bawean Island, located in Indonesia. 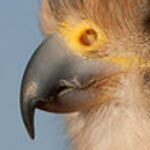 This eagle is generally found in or above tall forest and, to a lesser degree, in shrub and degraded forest. A few have been documented in farm lands and exotic tree (teak) plantations and they are also frequently found near villages. The Bawean Serpent Eagle is a lowland species, and has not been recorded above 500 meters above sea level. It is curious to note that, even though the Bawean Serpent Eagle lives on an island, and other species of serpent eagles in the region often take advantage of mangroves and coastal areas to hunt for sea and water snakes, the Bawean Serpent Eagle appears to avoid mangroves and coastal forest altogether, which severely limits the available habitat for this eagle. 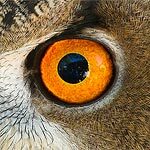 Very little is known about the behavior of the Bawean Serpent Eagle. Based on the research done in 2002, we know that most of the time these birds are alone or in pairs, but they sometimes, though not often, can be seen in groups of up to three or four. The Bawean Serpent Eagle is a highly vocal species - which means it calls a lot! This, coupled with the fact that they do a lot of soaring, particularly on cloudless sunny mornings - makes it a relatively easy species to observe, despite its low numbers. Like the Ridgway's Hawk and the California Condor, the Bawean Serpent Eagle is considered to be Critically Endangered. In 2002, one researcher spent 15 days searching for this eagle and found only very few throughout the entire island of Bawean. To better understand why there were so few individuals, the researcher conducted interviews with locals and discovered that recreational hunting using air rifles, a relatively new sport to the island, poses the greatest threat to this species and many other species that live on this island as well. This, coupled with the fact that the native forest on the island is poorly protected and is sufferin from widespread illegal logging and burning, makes survival very, very difficult for this species. The estimated available habitat for the Bawaen Serpent Eagle is only about 92 km² - one of the smallest ranges of any raptor. Though it may come as a surprise to learn, almost nothing is known about the diet or hunting techniques of the Bawean Serpent Eagle. However, since it is a type of serpent eagle, one can presume that it feeds mainly on snakes and probably other reptiles, such as lizards. Prior to breeding season, the Bawean Serpent Eagle can be seen performing display flights meant to attract a mate or strengthen pair bonds. This usually occurs from late September-early October. Breeding takes place from November to February. Just as there is still so much to learn about this species' diet, so to do we have a lot of information to catch up on in regards to the type(s) of nest it uses, what its eggs look like, and pretty much everything else that has to do with its nesting habits. This would be an ideal species for anyone to study - as almost anything you learn would be new and important information. The World Center for Birds of Prey offers fun ways to learn about raptors. Interactive activities, tours, interesting videos and a children's room with activities from coloring sheets and quizzes to costumes and a touch table are available for the curious mind. We also have several different birds of prey on display year-round! Come for a visit, where our knowledgeable staff and volunteers are on hand to answer any questions you may have about Bawean Serpent Eagles or other raptors.